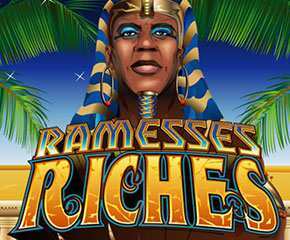 Ramesses Riches is a brand new amazing slot developed by NextGen Gaming. This slot game is based on an Egyptian theme and includes lots of pharaohs, pyramids and papyrus scrolls etc. This slot game can be easily played on all electronic devices and is going to be loved by the players for its fast rewarding actions. Moreover, the players can enjoy a maximum jackpot of 5000x of their stake. Also, it has a decent return to player percentage of 95.5%. 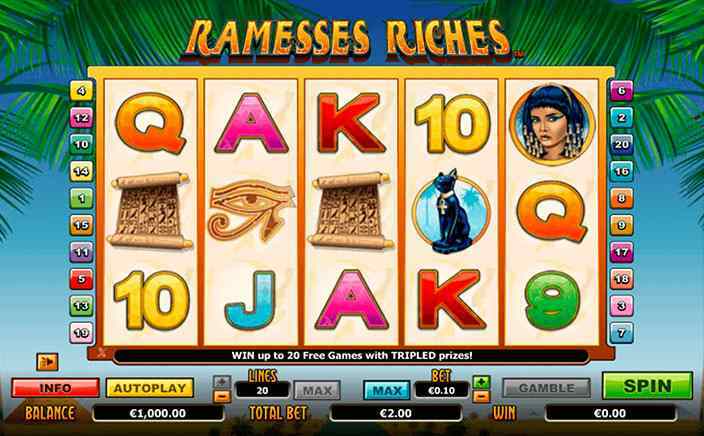 Ramesses Riches is built with 5 reels and 20 active fixed paylines games, and the background of the reels is filled with pyramids, a look like feline goddess Bastet and a blue sky. This slot game has HD graphics and spectacular animation which has made this game more attractive and appealing. The players can easily play this game with a minimum bet of £0.01 per line and a maximum bet of £1.00 per line. The high-value symbols are recognised as the sacred scroll, Eye of Horus, Cleopatra and Bastet. Whereas, the standard 9, 10, J, Q, A and K forms the part of lower values symbols. The Ramesses is recognised as the wild symbol of this slot game. Moreover, if this symbol forms the part of the winning combination then the wins of the players get multiplied by a 2x multiplier. 3 scatter will grant 12 free spins.4 scatter will grant 16 free spins.5 scatter will grant 20 free spins. This slot game also includes an interesting ‘gamble’ option that comes into play when the players land a winning combination. After which, the players are required to click the ‘gamble’ icon and should select a suit bet or a black/red bet. If the players make a correct choice of colour, it will double the player’s winnings. Whereas, a correct suit will multiply the player’s bet by four. Ramesses Riches slots is turning out to be one of the finest slots developed by NextGen Gaming. This slot game has money showering bonus features which make gameplay more interesting and enjoyable. Moreover, it has a moderate variance and one can earn a good amount by playing it sensibly.